“The job market remains strong, the economy continues to expand, and inflation appears to be moving toward the FOMC’s 2 percent longer running goal,” Powell said in a press conference that he kept somewhat shorter than those conducted by his predecessor, Janet Yellen. 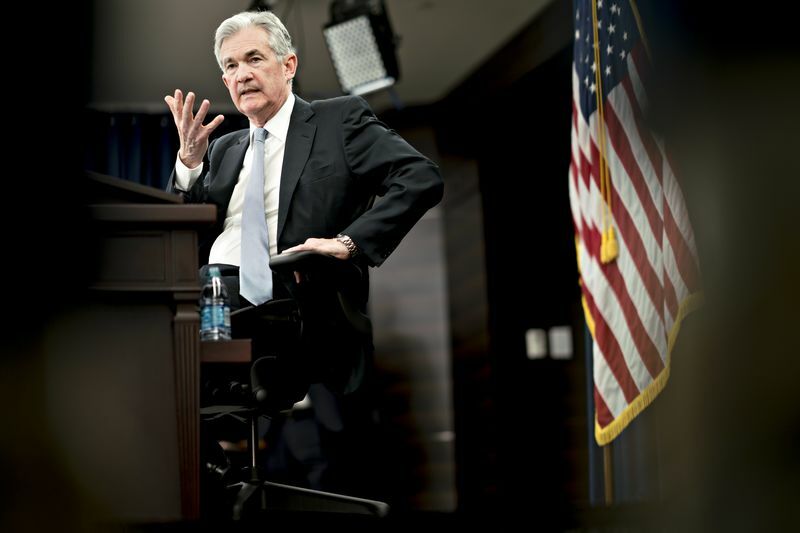 Powell said he’s “carefully considering” expanding the number of such briefings where he explains Fed decision, cautioning that he wanted to be sure that didn’t send any signals about the path of policy. In the briefing with reporters, Powell hued to the FOMC plan for gradual rate increases. While generally upbeat about the economy’s prospects, he also said the Trump administration’s trade policy has become a concern for businesses. The S&P 500 Index of U.S. stocks were higher after Powell spoke, while the yield on 10-year U.S. Treasury notes were around 2.89 percent, little changed from Tuesday. The Bloomberg Dollar Spot Index was lower. “Powell showed important signals of continuity with the Yellen Fed. Language emphasizing ‘further gradual adjustments’ to interest rates was retained from Yellen’s final meeting, and the dot plot update remained centered on three hikes by year-end, although the distribution shows officials openly flirting with the possibility of a fourth hike. The Powell Fed is proceeding with a similar sense of gradual deliberation, at least for now.